When I was discharged from hospital after treatment, the flowers poured in, as did the well-wishing cards from family and friends. My housemate had just relocated to Germany for work and my mother came to stay with me for a couple of weeks to look after me while I recovered. Now, I don’t believe those closest to us have any bad intentions and ultimately want nothing but the best, but in striving to support us, I found they can unconsciously make us feel worse. My family and friends continuously made sympathetic statements that infuriated me. They all expected I’d make a swift recovery and reminded me to count my blessings. Everyone thought that as I’d finished my cancer treatment, I’d get back to normal within three months. All of these ‘reassuring’ statements left me feeling even lonelier. As a psychotherapist, I was acutely aware of my emotional state. My feelings made the surgery feel like a walk in the park. I was suddenly thrust into what I can only describe as an existential whirlpool that depleted me of any sense of security and stripped me of my confidence. I was depressed. It was a dark time and I felt extremely lonely and needed support. So I put all of my clinical work on hold and I went into therapy myself. This was the first step in supporting my recovery. I needed a place to go where it was okay to cry, to express my anger and to free me from the banal sympathy that often made me feel worse. A few years previous, I completed a postgraduate diploma in trauma therapy and remembered being really engaged with one of the course directors who is a trauma therapist. What I was experiencing after cancer felt like a trauma both physically and emotionally. I needed to be with someone that understood this clinically, but also with someone whom I felt connected to – so I looked the course director up. I spent a year in weekly therapy. Initially, I cried a lot and was angry. I felt such a loss of control. But over the year, my therapist supported me in coming to terms with my new way of being in the world. She helped me tackle the impatience I had with myself to be better than I really was, to acknowledge my depression and she was there to hold some of the palpable anxiety that came up every time I went for a scan. I couldn’t imagine going through this experience without psychological support. Reflecting on this, I was curious to understand the situation more. I surmised that those closest to us often find it unbearable to hold the darker aspects of life, such as mortality, and so immediately step into a sympathetic rescue mode rather than being empathetically supportive. Yet what I wanted most in my moment of need was to feel connected – not in a way that would become an investment in my wounds – I didn’t want to be a victim – but more in a way that made me feel connected to others who had stepped onto a similar path and could empathetically sit with the ups and downs that come with surviving cancer. Brené Brown, author of Daring Greatly and Rising Strong, articulated the difference between empathy and sympathy in her YouTube short, where she illustrates the best way to ease someone's pain and suffering. She reminds us that we can only create a genuine empathic connection if we are brave enough to really get in touch with our own fragilities. She proposes that empathy fuels connection and sympathy drives disconnection. 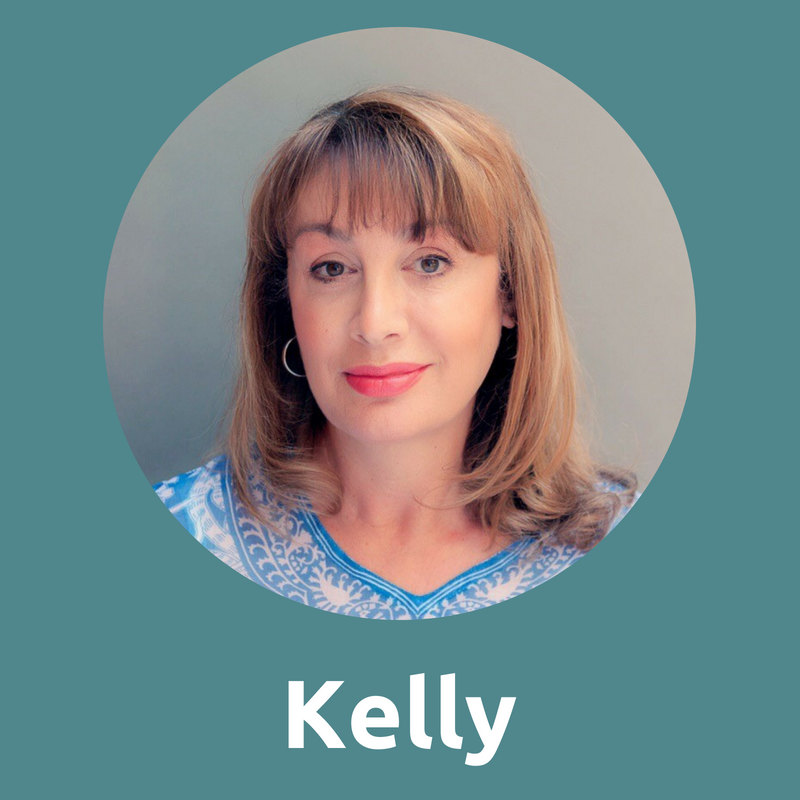 Kelly is a psychotherapist in Clapham diagnosed with stage two kidney cancer. She’s spent a lot of time researching other types of psychological support for cancer survivors, discovering there is very little. 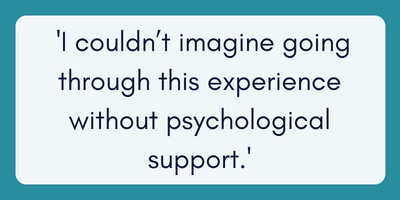 She is researching group therapy, whereby survivors could meet on a regular basis in a contained and safe space to support each other in an empathetic way. You’ve just been diagnosed with cancer, treated for it and expected to get back to normal, all within three months, right? Wrong! This was the case for me. Almost two years ago, an unusual pain in my side led me to see my GP. As an avid yoga practitioner, I am very in touch with my body and I knew this pain wasn’t like anything I had ever felt before. I was immediately sent for blood tests suspecting kidney stones. 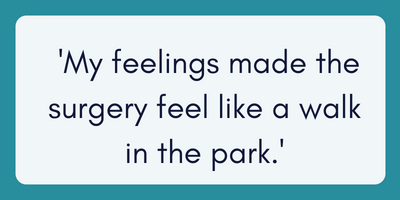 A week later, my consultant confirmed that it was actually stage two kidney cancer – a 10 cm tumour inside the lining of my kidney. Within two days, I was in surgery having it removed. I spent a further two nights in hospital and was discharged by the third. I feel there is synchronicity in the air because it taps into how I feel right now. I was diagnosed with advanced rectal cancer in Feb 2016. My treatment involved pelvic radiotherapy, chemo and surgery. I had life changing surgery in terms of having two permanent stomas. Because of a genetic mutation which led to the cancer I also had pre cancerous polyps in my duodenum which led to another big surgery. And then I had a full thyroidectomy in March this year. Again because of my genes. That too was cancer although small and minimally invasive. I had belts and braces approach of radioactive iodine treatment a few weeks ago. Finally I’m all done on regular treatment apart from follow up scans etc. I’m obviously so grateful and happy to sit on the other side but I also feel really flat. I’ve been through my euphoric moments.. especially post my massive surgery.. but now the main feeling I have is of readjustment.. I’m free of the cancer but the truth is, living with two stomas.. an ileostomy and urostomy is challenging.. mostly because my ileostomy is high output due to not really having much of a small bowel or any large bowel left. So a lot of my focus is on managing that. Friends and family are great but I think it’s hard for them to understand and for me to even articulate. I’m fortunate in that I have the support of a local charity where I go to a support group to share and discuss feelings and I do take steps to get out and about etc but I miss that connection of friends understanding and emphasising.